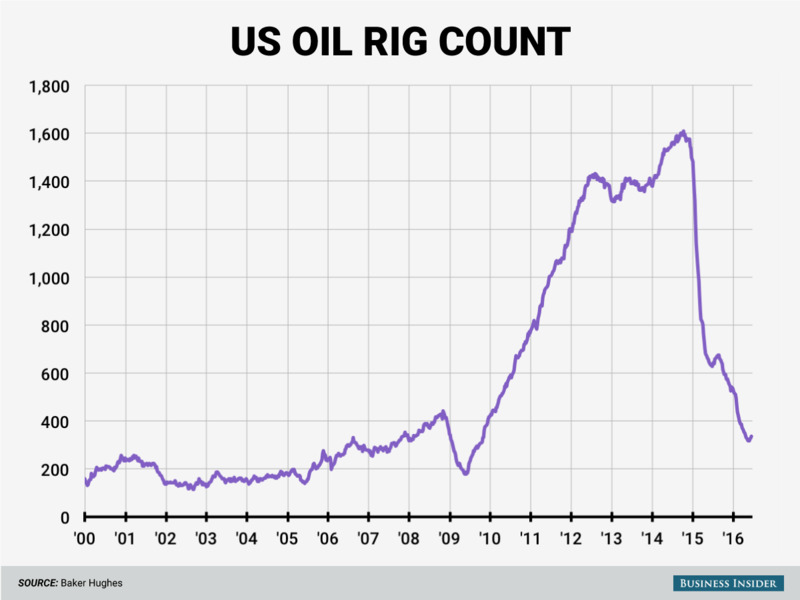 The US oil rig count rose by 9 to 337 this week, according to driller Baker Hughes. The tally rose for a third-straight week, the longest streak since last August. One gas rig was added, taking that category’s total to 86. Combined, the tally rose 10 to 424. Goldman analysts wrote in a note earlier this week that the current level of oil prices is not enough to cause all producers to ramp production, but the better capitalised ones can. Oil prices have nearly doubled from the year-to-date low reached in February. On Friday, West Texas Intermediate crude futures rallied 2.8% to $47.52 per barrel. 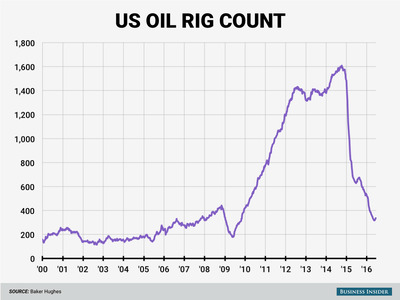 Last week, both the oil and gas rig counts increased by 3.